This entry was posted in Competitive Analysis, Investor Psychology, Risk Management, Search Strategies and tagged Bubbles, Distortion, Horizon Kinetics, Indexing. Bookmark the permalink. Distortions are there for an investor to take advantage of. Its interesting to see the risks of ETFs discussion getting traction – Seth Klarman’s Baupost latest letter had a great points as well (Page 14). OK, but an investor who is ABLE to value businesses will be able to find companies mispriced because they have been abandoned for their low liquidity. Opportunity will abound. Excess breeds opportunity for investors who are insightful, patient and courageous. Thx for the links. The ramifications of so much money flowing into index ETFs don’t get much treatment in the “popular” press. E.g. Forbes and the Cato Institute recently talked about the pros/cons of the Federal Government “investing” Social Security revenue in the securities market to increase returns [1,2]. But conspicuously missing is any discussion of VALUATION, and what might happen if all those dollars mechanistically chase a small universe of highly-liquid securities. Nope, using a “broad-based index” is seen as a Good Thing because it prevents the government from “picking winners and losers”! Returning to an analogy Bregman uses in his talk: if the ETF bubble is like a tsunami wave in the open ocean (unnoticeable, but containing tremendous energy), then central bank money printing is like plate tectonics, the great background force that ultimately gives rise to disasters like tsunamis and earthquakes. If interest rates weren’t being suppressed by concerted central bank action, would we even have this discussion? Would securities of mature consumer “dividend aristocrats” trade at rich valuations implying that the businesses will grow significantly more than GDP? This insanity, or predictable failure of central planning, reminds me that value is the ONLY thing that works, even if trends and vagaries point you to different nooks and crannies of the market over the years. Good ideas–low cost investing vehicles like Indexes and ETFs–have their place, but GOOD ideas are ALWAYS taken to excess. Also, some bad ideas like “Portfolio Insurance” caused the 1987 meltdown. 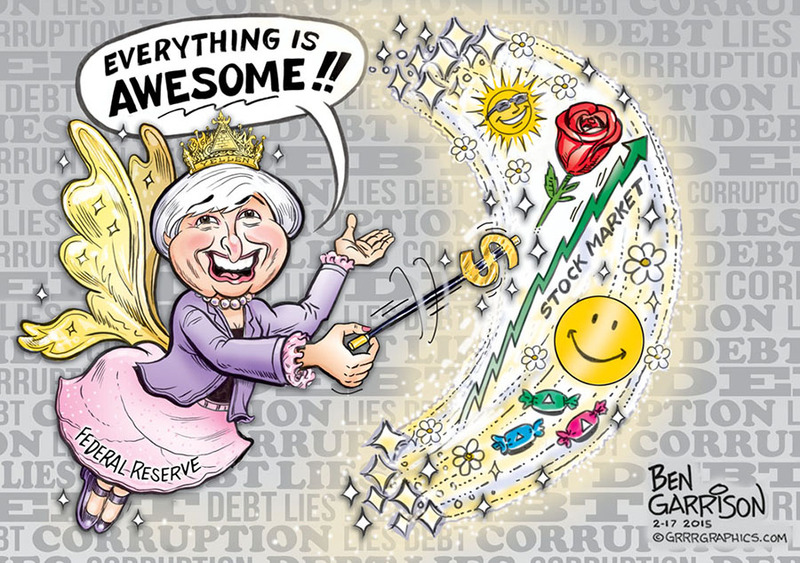 Who cares what price you pay http://www.zerohedge.com/news/2017-04-19/passive-negligence-cover-your-eyes-buy-investing if you can be stopped out with no losses. That didn’t work well. Now you can use a search strategy to find undervalued stocks that are NOT in any or many ETFs. Go small and obscure. To me it sounds like an excuse for managers when they don’t know where to put their moneys! Come on, there are always pockets in the markets with inefficiencies like spin offs for example. If you know what you are doing you should be able to outperform​ even an bubbled index. If you are Warren Buffett or Seth klarman with billions to manage it might be different / “unfair” to be compared to a bubbled index… But I think for most investors it is just an excuse for below average performance. does this mean the able investor can only beat the market consistently if he focuses on out of index and preferably on small or micro cap stocks which present most of the low liquidity on the market? No. But out of index stocks are now MORE LIKELY to be misvalued. 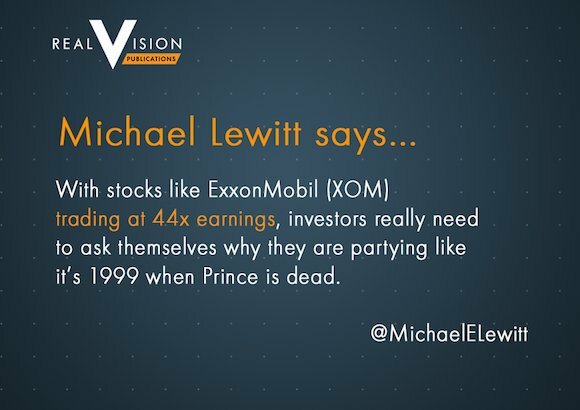 Sub $600 million and especially sub $300 million dollar stocks are less likely to be in an index and more likely to be mis-priced–both OVER and UNDER valued. An interesting investment is RMT Royce Micro Cap Trust. Stocks there are mostly out of favor and the trust trade at about a 12% discount (the discount has been as wide as 17%). Has 300 stocks in the microcap universe. So a double discount. Not a spectacular idea, but you are buying out of favor assets with one of the best managers in the world.